In 2018, Australian feature film goers were treated to a vast range of worlds and stories – from Outback frontier westerns, to live action/animated delights, to futuristic sci-fi, to 50s period dramas. And that’s just scratching the surface. A whopping 63 new Australian features were released in 2018, and here we look at the cameras and lenses behind nine of these unique narrative films. As seen in these examples, the ARRI cameras feature heavily – the original ALEXA, the ALEXA XT (XT meaning extended technology) and the lighter, smaller ALEXA Mini. Even though these cameras produce very similar images, the array of lenses (choosing spherical or anamorphic), filters, lights and shooting styles have led to a variety of looks across the films. The highest grossing Australian film of 2018, Peter Rabbit presented cinematographer Peter Menzies Jr. ACS and director Will Gluck with some unique challenges as a live action/animation hybrid. Based on the Beatrix Potter stories of the same name, it stars the voice of James Corden as the CGI bunny, who along with an assortment of other lovable creatures, frequently interact with human characters played by Rose Byrne and Domhnall Gleeson. He says with that in mind, the ALEXA XT and ALEXA Mini were their cameras of choice for Peter Rabbit. 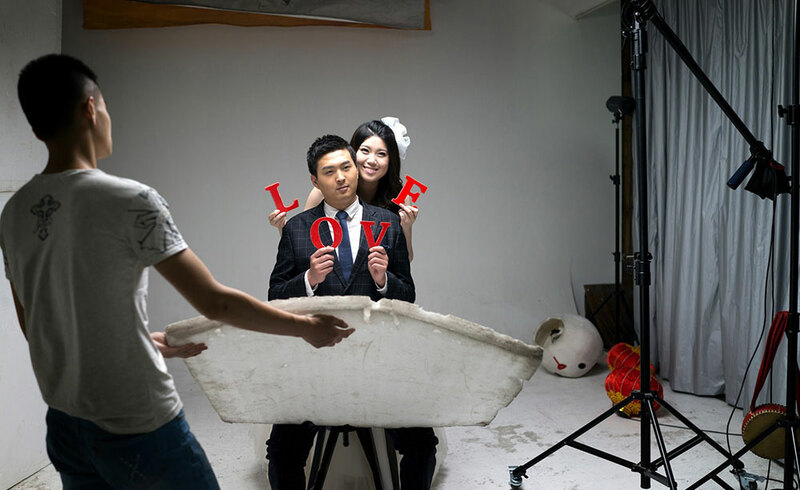 “At the time they were the smallest high resolution cameras available. The ALEXA XT offered amazing dynamic range and the Mini was the smallest camera available with a matching range to the XT. The Mini was used on a remote control car and an electric scooter custom rig we designed to shoot background plates and capture the rabbits running around the garden,” he says. 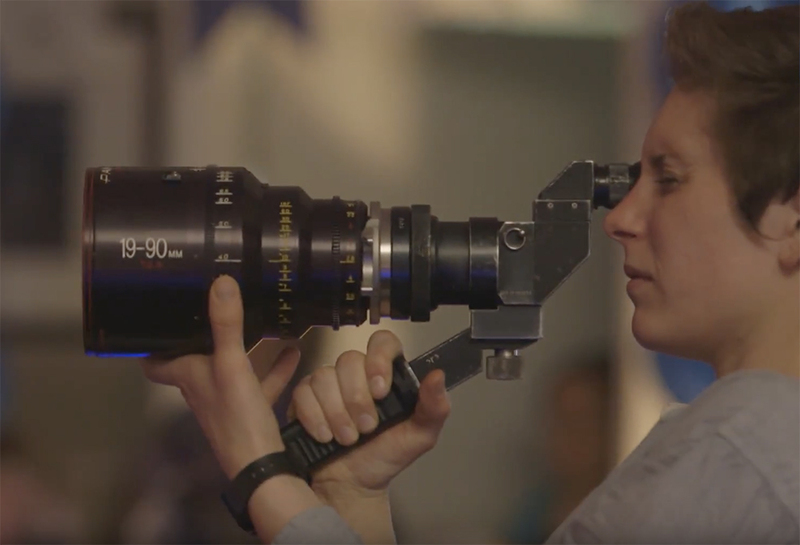 As for the lenses, he says they used a combination of Panavision Primo and Optimo zoom lenses. The hit feature Ladies in Black is set in 1950s Sydney and follows a shy young woman (played by Angourie Rice) who takes a job at a prestigious department store over the course of one pivotal summer. It marked the 13th collaboration between director Bruce Beresford and cinematographer Peter James ACS ASC (Driving Miss Daisy, Mao’s Last Dancer). James says he started with the ARRI ALEXA Mini and the Panavision anamorphic E and C series standard lenses, with no zoom lenses. “I chose these especially as Bruce and I wanted the film to look BIG, not like a TV film,” James said. He says they even viewed all these tests on a cinema-sized screen. Beresford says Ladies in Black was shot in 32 days and commended the speed at which James would light shots. It meant they could capture a complicated scene in just one day, instead of three. “The thing I like about him is that he can change his photographic style to suit what that particular film needs,” Beresford says. The winner of six AACTA Awards in 2018, including Best Cinematography, this period western marked director/cinematographer Warwick Thornton’s return to narrative features since his Camera d’Or winning Samson & Delilah. It follows an Indigenous Australian man who is forced to go on the run when an act of self-defence marks him as a wanted criminal. A feature from Bunya Productions (Mystery Road, Goldstone), Sweet Country also took home major awards in Venice, Toronto and at APSA. Sweet Country was a family effort, with Thornton’s son Dylan River working as second unit director and DoP throughout the Northern Territory shoot. A more in-depth discussion from River and Thornton on their approach can be found in the Australian Cinematographer magazine here. Based on the Tim Winton novel of the same name, this coming-of-age drama is also the feature directorial debut from actor Simon Baker. It’s set in Australia during the mid-70s, and stars Samson Coulter and Ben Spence as two teenagers who form a friendship with a mysterious surfer (Baker) that changes their respective young lives. Cinematographer Marden Dean ACS says they used “quite a collection of cameras”, with two ALEXA XT bodies and an ALEXI Mini for the land-based filming, while the RED Dragon was the camera of choice for the water-based shoot. 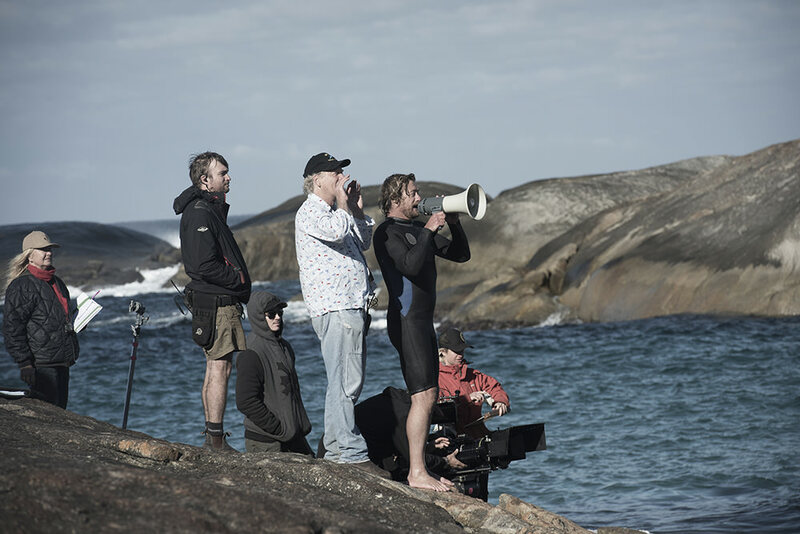 Dean told the Australian Cinematographer magazine they settled on the RED Dragon for any surfing shots because of the additional resolution it provided – a factor that would come in handy with image stabilisation and reframing during post-production. A specific water cinematographer – Rick Rifici – was brought on to capture the pivotal surfing scenes. To read more on the choice of lenses, visit this AC Magazine article. When their Pakistan shoot was blocked by the Secret Service and their money from a private investor fell through, writer/director Benjamin Gilmour was faced with a difficult decision: he could choose to return home to Australia, or make the redemption tale Jirga in Afghanistan. He went with the latter. In Islamabad he found a camera shop with the one and only Sony A7SII in the country at the time, and the single zoom lens. Aside from a neck strap, Gilmour filmed Jirga without any stabilising technology or additional accessories for recording external sound, because none were available. “I chose the [Sony A7SII] for its small, unobtrusive size which we needed for our low-key shoot in Afghanistan,” Gilmour says. Gilmour says his skillset is as a writer and director, not a cinematographer, but it was a role he had to take on out of necessity. As Australia’s nomination for Best Foreign Film at the 2019 Academy Awards, audiences will have a second chance to see Jirga on the big screen at Event Cinemas from 31 January. This post-apocalyptic father-daughter story starring Martin Freeman had a cinema-first run in Australia in May 2018 before streaming across the globe on Netflix. Filmed in the South Australian Outback, co-director Ben Howling says after a lot of preliminary discussions they decided with cinematographer Geoffrey Simpson ACS to use one ARRI ALEXA and an ARRI ALEXA Mini with ARRI Master Primes. “The reason we chose this set up was because after a lot of preliminary discussions, it gave us the most flexibility to move quickly, and to shoot at night without requiring as much of a set up for lights,” Howling says. Described by debut feature director Stephen McCallum as “Macbeth set in an outlaw motorcycle club”, it stars Ryan Corr as the heir to the club, who chooses his brother over the president and sets off a chain reaction of events. McCallum wanted the camera to be part of the action, and a cinematographer that could move and light fast. He interviewed over 20 cinematographers, which is when he found Shelley Farthing-Dawe (Pawno). Farthing-Dawe says from early discussions they decided pretty quickly on the ARRI ALEXA Mini. Largely filmed in the one location, this dark comedy stars Shane Jacobson alongside his brother Clayton (who also directs) as two siblings who plan to commit a murder. Cinematographer Peter Falk ACS says Brothers’ Nest was filmed primarily with an ARRI ALEXA Classic. “I like the “look” that the image sensor gives,” he says of the choice. “I think that it is the most “filmic” amongst the camera brands, providing an image that is neither too sharp nor too contrasty. I have never liked a super sharp image and have often further softened the image with diffusion filters, as I did again on Brothers’ Nest. When it came to photographing the aerial shots, Falk says the ARRI ALEXA Mini was chosen because it’s a smaller, lighter camera. For this futuristic high-concept action/thriller, Leigh Whannell of Saw fame made his second outing as writer/director after Insidious: Chapter 3. He was joined by cinematographer Stefan Duscio ACS who shot, amongst others, The Mule, which Whannell co-wrote and acted in. In Upgrade, a man determined to exact revenge (played by Logan Marshall-Green) had an experimental computer chip called STEM implanted into his body – with unexpected results. Upgrade also features a number of inventive fight sequences (as seen in the trailer), which required the size and weight of the ARRI ALEXA Mini to achieve. “We also mounted the ALEXA Mini on our AR Revolution rig for the signature motion tracked action sequences,” Duscio says. Notice anything about the above list? 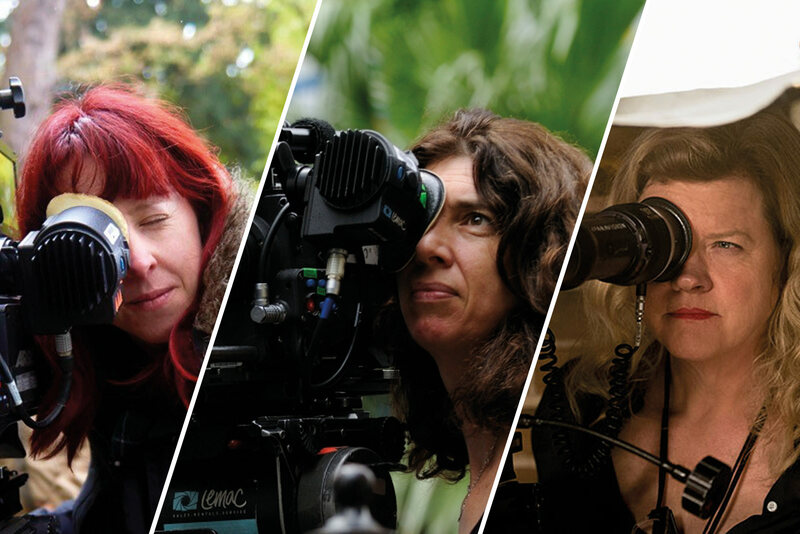 Of the major Australian feature films released theatrically in 2018, none had a female cinematographer. 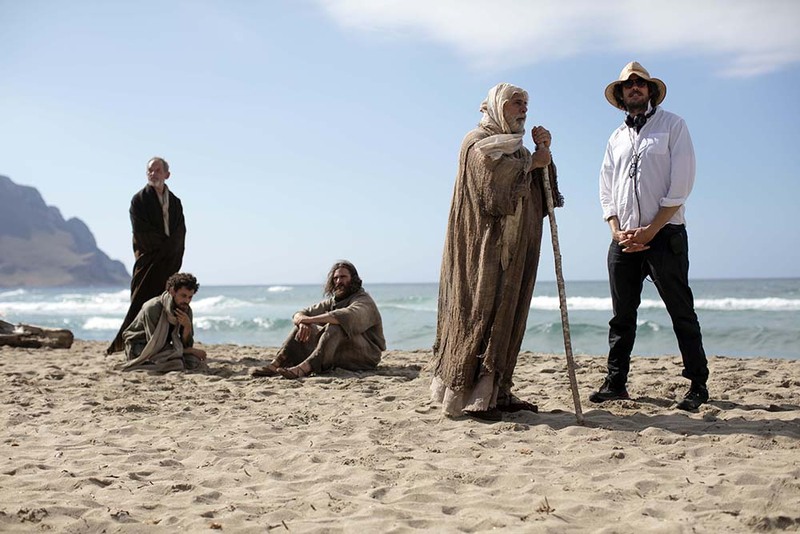 In fact, of all the 37 drama features released, only two featured female cinematographers: One Less God (Ashley Barron ACS) and Reaching Distance (Goldie Soetianto). Documentary fared better, with six of the 19 (or 32%) feature documentaries released theatrically crediting a female cinematographer.